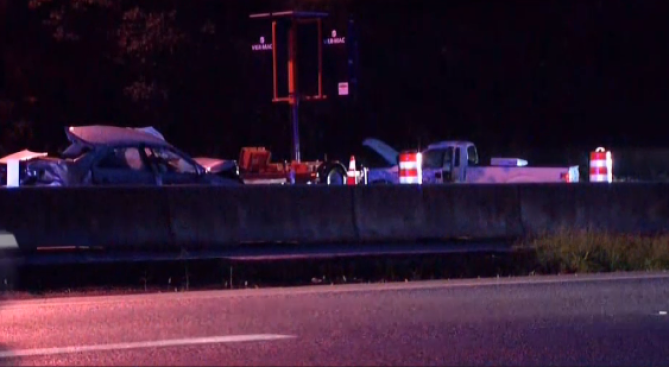 A 21-year-old man was killed after his car was involved in a crash with three pickup trucks along I-66 Tuesday morning. The crash happened in the eastbound lanes of I-66 between Chain Bridge Road and Nutley Street at 4:31 a.m. It's not clear what cause the crash, but police say Juan Bernabe Reinaga Zapata, of Manassas, died at the scene. Two other drivers were treated for serious but not life-threatening injuries.